ELLICOTT CITY, Md. 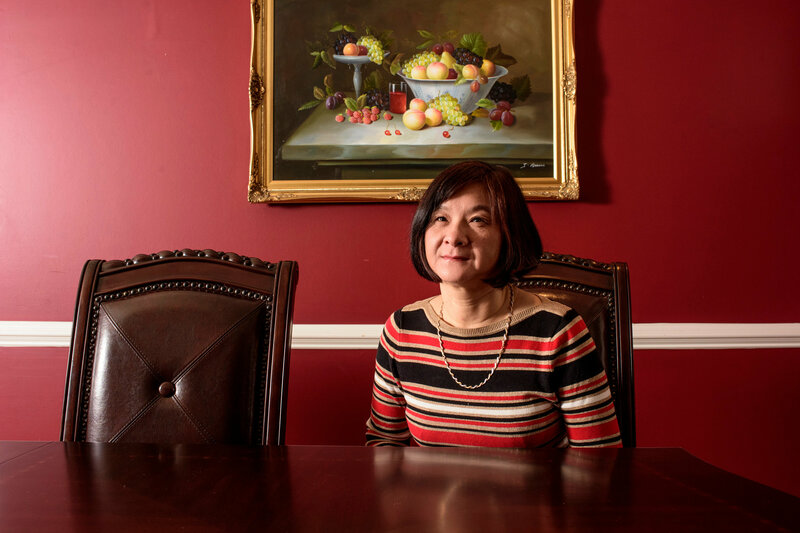 — When lawmakers in Howard County, Md., a stretch of suburbia between Washington and Baltimore, declared their intention to make the county a sanctuary for people living in the country illegally, J. D. Ma thought back to how hard he had worked studying English as a boy in Shanghai. What follows are the stories of four immigrants in Maryland who oppose sanctuary status — people whose voices have rarely been heard in the long debate over how to fix the nation’s immigration system. But anyone who thought their journeys were easy, these immigrants said, has never walked in their shoes. Growing up in China, J. D. Ma shared a small room with his parents and sister in a communal apartment in a working-class district of Shanghai. They had to take turns with two other families — 14 people in all — to use a single bathroom. His maternal grandfather, a history teacher, was sent to a labor camp in 1957 under Mao Zedong. The family eventually received a letter saying he had committed suicide. But still, they considered themselves lucky: They lived in the city. They had running water. From the age of 9, Mr. Ma was pushed to learn English by his mother. “Study harder,” she told him. “Score higher.” At 12, he won entry into a highly selective boarding school where he toiled for 13 hours a day. 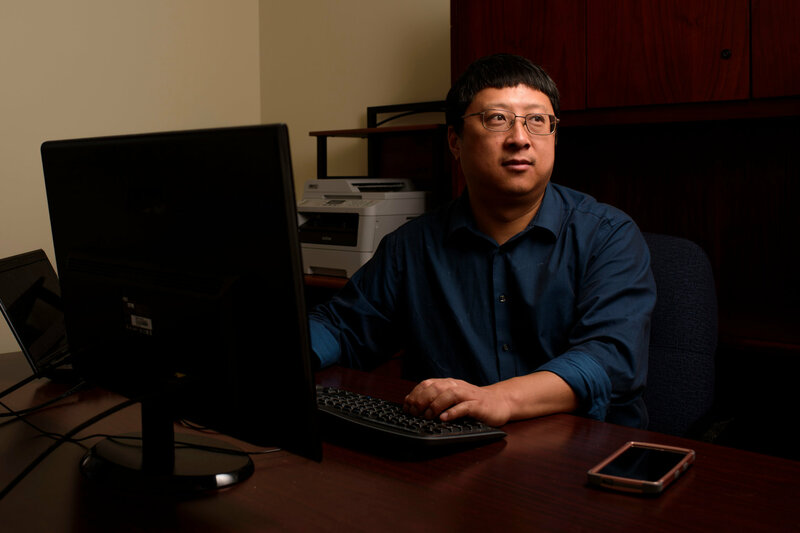 Today, Mr. Ma, 45, is a patent attorney, living in a stately home in Clarksville, Md., after years of study at universities in New York, Utah and Virginia and a first career as a software engineer. His wife, also a Chinese immigrant, works for the National Weather Service. Two-thirds of their daughter’s second-grade classmates have parents from China or India. Mr. Ma sees his whole life as a struggle to achieve his Americanness. Mr. Ma voted for Hillary Clinton. But hearing liberals talk about undocumented immigrants confuses him: The fact that their entering the country broke the law is somehow sidestepped, like a crude remark at a polite dinner party. Democrats oppose deportation on the grounds that it breaks up families, Mr. Ma said. But so do other aspects of the justice system — without setting off the same outcry. This perspective baffled the sanctuary bill’s supporters. 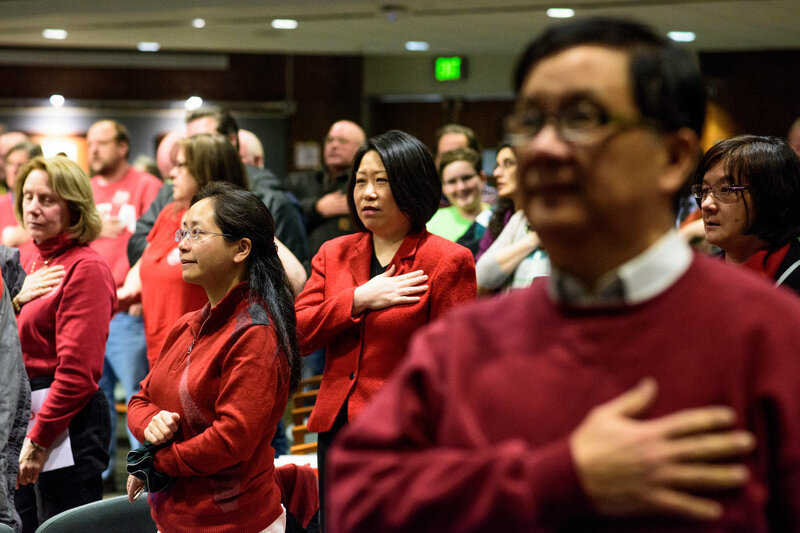 Why, they asked, were naturalized citizens like Mr. Ma so threatened by the act of protecting people living in the country illegally — many of whom had worked just as hard, and put down roots of their own, thanks to years of lax immigration enforcement and an economy that depended on their labor? Mr. Ma has thought about this argument a lot. But he has concluded that it is irrelevant to the broader issue of legality. Rather than treating the nation at large as complicit, he focuses on personal responsibility. Many Hispanics welcomed Democrats’ efforts to make Maryland a sanctuary. Stanley Salazar, 37, did not. A carpenter in Silver Spring, he compares living in the country illegally to being a guest in someone’s home: Be on your best behavior. Make your bed and do the dishes. Any misbehavior — drinking and driving, for example — could mean you are no longer welcome. Mr. Salazar, who is from El Salvador, knows this because he himself was illegal. He first visited the United States when he was 10. His mother, a biology teacher, had a sister in Reno who had married an American. Mr. Salazar still remembers being amazed by his first all-you-can-eat buffet, and playing an arcade game called Paperboy, in which you raced on a bike, tossing newspapers and dodging obstacles on a suburban street. 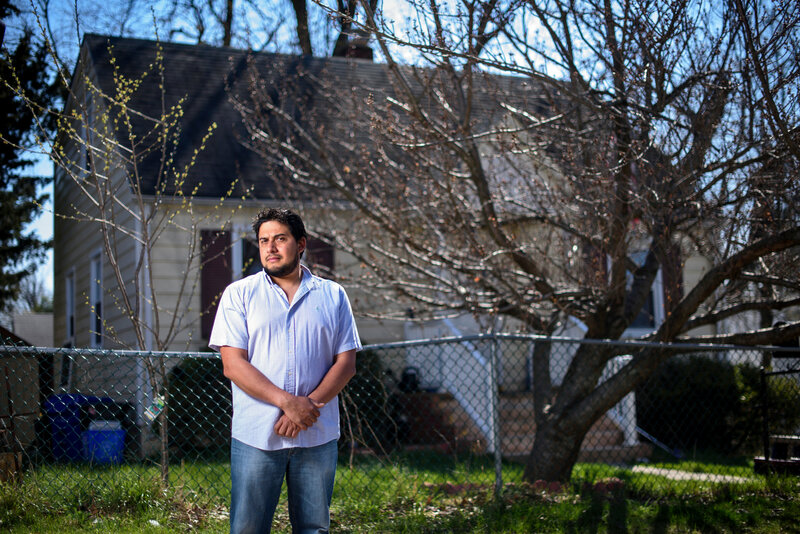 His journey back, and to American citizenship, was long, but compared with more recent immigrants’, relatively painless: He left law school in El Salvador in 2001 and traveled to Maryland on a tourist visa, but violated its terms by painting houses for cash. After several extensions, his visa expired. But he spoke English, thanks to his mother’s tireless teaching. She had a green card. And he had a driver’s license, a bank account and a car. By 2007, he had his own green card. Now, he lives in a small house with his wife, their daughters and his mother, 73, who rides the subway into Washington every morning to her job serving sandwiches in a museum. Mr. Salazar thinks sanctuary would be bad for Maryland. He bases this on what has already happened in Montgomery County, where he has been part of a Hispanic population boom. The Salvadoran gang MS-13 has gained strength in the area recently, the authorities say, partly because of an influx of undocumented children arriving without their parents. The young arrivals are more susceptible to recruitment by gangs. Mr. Salazar sees the statistics: At least 16 homicides in the county have been attributed to gangs since June 2015. About half have been linked to MS-13, including the killing of a 15-year-old girl in Gaithersburg. But Mr. Salazar has other worries, too. The public school population has risen sharply, and the county recently raised property taxes by about 9 percent to keep up. The share of students enrolled in classes for English learners rose to 14.6percent of the school population this year, up from 11.2 percent in 2009, and accounted for more than half the total increase of students in the school system this year. But that burden is borne unequally, he said. The high school Mr. Salazar’s daughters would attend, where more than 40 percent of students receive subsidized lunch, is ranked far below one in affluent Bethesda, where fewer than 5 percent qualify. Mr. Salazar dismisses proponents of sanctuary as liberals living in areas that are insulated from the potential consequences. He believes politicians “are using us like flags,” casting immigrants as blameless victims. But immigrants are people with flaws, he said. They need a way to gain legal status, not a safe space to remain here illegally. On a recent spring afternoon here, a school bus bumped down a residential street, passed a woman wearing a bright green sari and came to a halt in front of a brick house with a lawn worn from soccer games and a well-used goal. The son and daughter of Biplab Pal stepped down and scampered home. Immigrants have been coming here for years: Koreans at first, Indians more recently. Mr. Pal, 43, arrived in 2008, drawn by good schools. A third of the children in his son’s fourth-grade class are Indian-American. Their parents are highly educated: Mr. Pal’s real estate agent has a Ph.D. in biochemistry. Gregarious and sharp-witted, Mr. Pal talked with Indian friends about the Howard County sanctuary bill. They did not like it. Some told of sacrifices like missing a parent’s funeral back in India, because traveling home could jeopardize the yearslong pursuit of a green card. With so many people waiting in line for years, the idea of providing sanctuary for those who had broken the law left a sour taste. The more pressing priority, they told him, should be improving legal immigration. Mr. Pal got his own green card in just a few months, as part of a special category reserved for inventors and researchers. His company makes software that tracks the functioning of factory equipment. He had a different objection to sanctuary: He believed it would lead to an increase in crime. He used to live in Los Angeles, in a neighborhood with many undocumented immigrants and lots of crime. He saw a connection. Mr. Pal is a Democrat, like most Indian-Americans. He voted for Mrs. Clinton. But in the rush to oppose Mr. Trump, he believes, Democrats moved too far left on immigration. It wasn’t always like this. In 1996, President Bill Clinton talked about illegal immigration as a problem. And he is happy that illegal border crossings have declined. “I don’t want to sound like a Trump supporter, but something is working,” he said. Most undocumented immigrants are Latino, and some sanctuary supporters believe that the Asian-Americans who oppose it — and who came to this country by airplane to earn graduate degrees — look down on those who crossed the border on foot, as a matter of race, class or misplaced fear. Perhaps legal immigrants should be more understanding, Mr. Pal said, but that might be asking too much. Hongling Zhou was born in 1966, the year Mao Zedong started the Cultural Revolution. Politics followed her throughout her young life. She was a graduate student in math when the 1989 student movement ignited protests across the country. She remembers days of protesting and nights staying up late talking about change. When the military killed hundreds of protesters in Beijing, she could not bear to stay. “We left after that — a lot of us left after that,” she said, sitting at her kitchen table. At Indiana University, she earned a master’s degree in statistics while working part time in a hospital. Now, Ms. Zhou lives in Clarksville, Md., with her husband, a software engineer who also emigrated from China, and their son and daughter. She knocked on doors for a presidential candidate before she could even vote — in 2004 in Pennsylvania for John Kerry. She was angry about the war in Iraq. Her first vote after becoming a citizen in 2007 was for Barack Obama. But never has she been more politically active than during the short life of the sanctuary bill in Howard County. Ms. Zhou first learned of it on WeChat, a messaging app popular among Chinese-Americans. She talked to friends and neighbors. Nobody liked the idea. Many were afraid that carving out a safe space for illegal immigrants would mean that more would come, and that public-school classes would swell and teachers would be spread thin. So on a cold night in early January, about a dozen people gathered around Ms. Zhou’s long wooden dining table, drafted short speeches and took turns delivering them over steaming bowls of sweet bean soup with chia seeds. Most, she said, had never done anything more political than vote. The bill’s supporters argued that, sanctuary or not, undocumented immigrants would be unable to afford housing in the county, where the typical home is valued at around $430,000. But Ms. Zhou saw things differently. Immigrants double up in houses, she said. They rent apartments or mobile homes. Her cleaning lady, who she recently discovered is undocumented, lives in a trailer in the county. Though she opposes sanctuary, Ms. Zhou said that immigrants in the country illegally should be given a chance to gain citizenship, not be deported. But that is a nuanced position, and these are polarized times. Ms. Zhou and several dozen opponents posed for a group photograph after testifying in Annapolis. They were smiling. Many wore yellow T-shirts made for the occasion. Ms. Zhou felt stung, but also confused. All she had done was disagree.